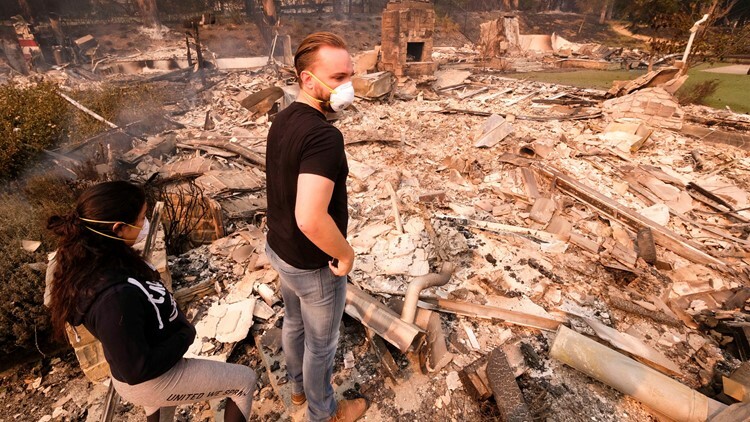 The statewide death toll reached 31 on Sunday and more than 200 people were reported missing. Sgt. Nathan Lyberger, of the Yuba County Sheriff's Department, right, and Sgt. 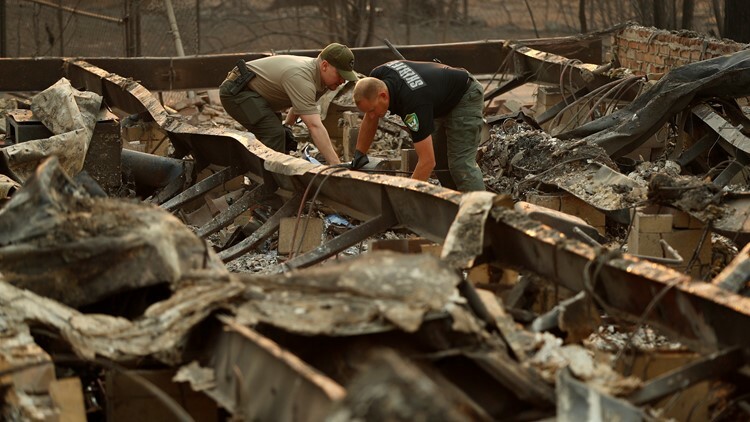 Kevin Packard, of the Mariposa County Sheriff's Office, prepare to move human remains found at a burned home, Sunday, Nov. 11, 2018, in Paradise, Calif.
Selsky reported from Salem, Oregon. Associated Press writers Janie Har and Daisy Nguyen in San Francisco; Don Thompson in Chico, California; Martha Mendoza in Oroville, California; Christopher Webber in Malibu, California; and Andrew Dalton and John Antczak in Los Angeles contributed to this story.